Inspiring everyone to breathe better, everyday. Do Breathe started as a book that Michael Townsend Williams wrote after speaking at The Do Lectures in Wales in 2014. It is now a growing movement to inspire people to reconnect with their breathing and, in doing so, open up the potential of a more fulfilling and healthier life for not only us as human beings, but also the rest of the planet. 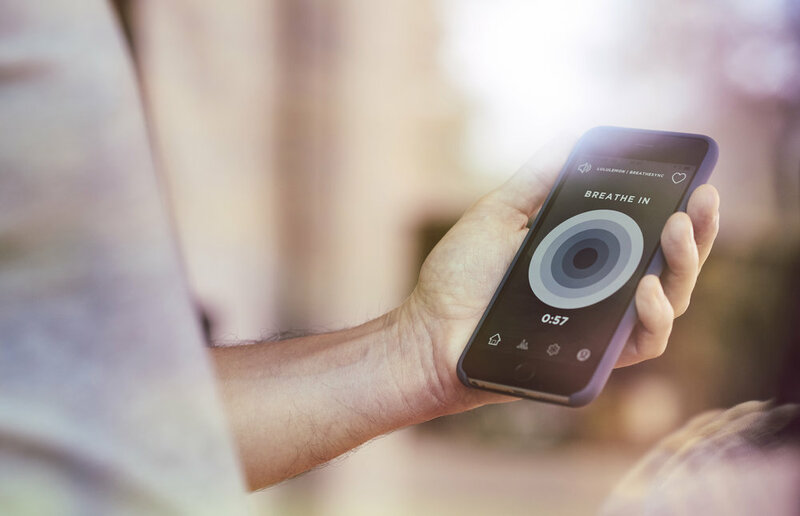 Why not biohack your breathing with BreatheSync for iPhone? Or check out our Stillworks coaching options for doers who forget to be? Now available as a book, audiobook and ebook. The first USA edition is out later in 2018, and in France and Germany in Spring 2019. You can read some excerpts here. "Like a spa vacation for body & soul." Slow, intentional breathing is proven to bring calm and focus to your mind and body. Guided by the rhythm of your heart, BreatheSync works fast, when you need it most. "Gave me back a sense of control and self-belief." We belive that everyone of us is capable of achieving more with less stress. Forward-thinking people and businesses realise that outer success starts with inner transformation. With our own mindfulness and productivity programmes, we support you to be well as well as do well, everyday. From moments and momentum to the momentous… How can we experience more of these powerful moments in our busy lives? the way we think, and the way we feel. The way we breathe reflects the way we live. How to restore focus and clarity. Stress and anxiety are often caused by a lack of organisation. Anything you can do can be done either mindlessly or mindfully. When you arise in the morning think what a precious privilege it is to be alive; to breathe, to think, to enjoy, to love. BreatheSync and WQ-Wellbeing Quotient are registered trademarks of Breathe Sync Ltd, registered in England & Wales No.09471910.